If Jesus was brown and non-Western, shouldn’t some of our other heroes be too? There are some AMAZING people out there. The people featured in these titles were take-your-breath-away inspiring. Their examples of sacrifice, passion, commitment, and faithfulness are models for everyone. We need more people who live like they did. We need to spend time hearing stories of those who have gone before us. While many lived in different times, the challenges they faced put our modern sensibilities to shame. Learning about their lives has more to teach us about our own journeys than obsessing over Justin Bieber. Women need more equal representation. While the female figure was higher than I expected, when incorporating marital status, only 6 of the 49 (12%) women featured as the main character of a biography were married. In contrast, 70 out of 102 (69%) men were married. Only five of the biographies I reviewed had titles about men and women together. Who were the women behind the heroes? Why weren’t they featured as prominently as the men since their lives surely included equal levels of sacrifice and commitment? The Christian world extends far beyond the US, UK, and Europe. China is poised to become the world’s largest Christian country in 15 years. The church is exploding in Africa and the middle east. There is much to learn from the faithful followers in other nations and our faith would be deepened to know more of their stories. Our children need to see that people from any background can follow God. If Revelations tells us that people from every tribe and nation will be in heaven, surely we can write a few books about them here on earth. The message behind the message when the majority of ‘heroes’ are white men is that this status is held only for a privileged few. Until our stories reflect this truth, children will subconsciously absorb this message. Women need to see themselves as full participants in God’s story. We were not created to hide behind men but to walk beside them as equals. When we are relegated to the woman-behind-the-man, it becomes easy to shirk our own responsibility to heed God’s call on our lives, husband or not. We need more diverse books. A popular Twitter hashtag, the #WeNeedDiverseBooks movement applies in equal measure (if not more) to the Christian publishing industry. Let’s dig deep into our history and publish the stories of our brothers and sisters who have followed Christ around the world, from places of low status and persecution rather than just privilege and power. Perhaps it would give us a deeper understanding of Christ’s call to make all things new. I wonder if Jesus had waited until now to make His first coming, and it would have been in America, would He be the victim of racial profiling? I’ve always found the Victorian (?) 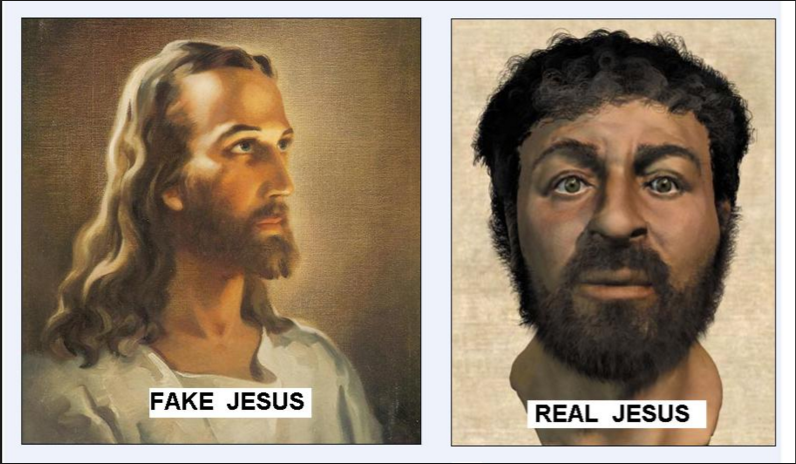 depiction of Jesus as the fair-skinned bearded sage as nauseating! My local church even has a repro of it on the wall! Can you credit such bad taste!